Before you implement the Marble Jar consider how often you want to reward your students. Choose a big jar if you want them to work a long time to earn their reward. Keep in mind that a big jar also merits a big reward, such as a class party. Your students will not be very motivated to fill the jar if the reward is an extra five minutes of recess. If you have a particularly challenging class, consider a smaller jar with small, but more frequent rewards. Otherwise, the goal may seem so far away that it is virtually unattainable. Warm fuzzies are nice, but they don’t plunk! Some teachers use puff balls instead of marbles, often to go along with the idea of giving Warm Fuzzies. As it happens, I am a big fan of warm fuzzies–love the concept, love the book–but I don’t like them in place of marbles mainly because when you add one to the jar, there is no “plunk.” The plunk is super valuable because it speaks for itself. When you drop marbles in the jar, you don’t have to say a word (though sometimes you will want to if it is not clear why marbles are being added). While you don’t want to be stingy, you also don’t want to reward every single good behavior. One of the powers of the Marble Jar is that it uses Random Reward to reinforce the behaviors you want to see, which is much more powerful than rewarding consistently (think of slot machines). Yes, you can take marbles out for bad behavior, but try to avoid it. The Marble Jar should be a beacon of positivity, not a reminder of less than admirable behavior. If you do decide to take marbles out of the jar, make a really, really big deal about it. Make sure they understand that desperate times call for desperate measures. Bonus marbles are marbles that you put in a little dish beside the marble jar at the start of the day. At the end of the day, you decide if your students have earned all, or any, of the bonus marbles. This can lead to some great discussions if you ask them if they think they deserve the bonus marbles. Just lay some ground rules, such as not naming individuals. Often they will be harder on themselves than you would have been. Another interesting thing to try is to give each student a marble at the start of the day. On the way out the door at the end of the day, each student must consider his or her own behavior and deposit his or her marble into either the Marble Jar or back into the container where you keep the not-yet-added marbles. The best rewards are something each student in your class will enjoy, are free or cheap, don’t take up too much time, and are easy to implement. Depending on your class, a reward can be as simple as 15 minutes of free time on a Friday, but in most cases, you will need to go a little bigger than that. Class parties are popular. One idea for choosing the reward is to have the students brainstorm a bunch of ideas, narrow down to three or four, and then allow students to rank them individually by preference. This will give you a good idea about what is most motivating for your class. 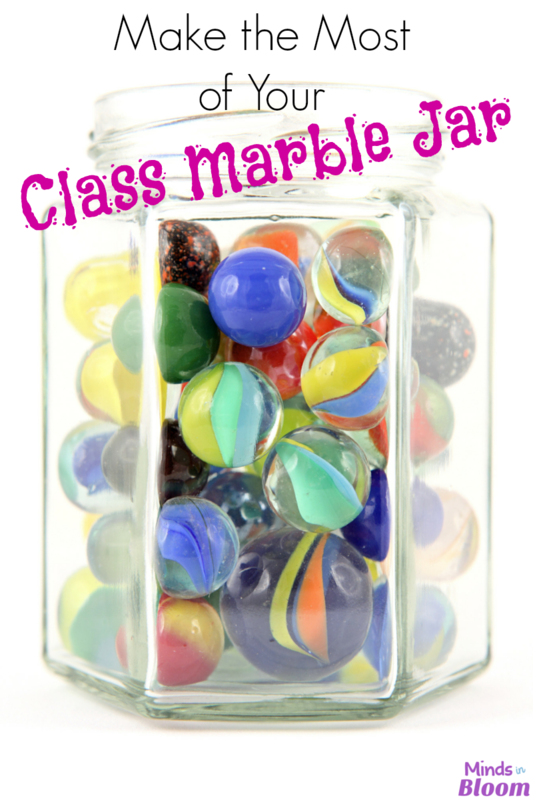 Do you have a Marble Jar in your class? How is it going for you? Any ideas to add? Please comment. I agree about the "plunk" sound of marbles being an added bonus over the poms! Also, personally I like having uniform marbles. No negotiating, "why do we get a medium sized marble" and no "why do we only get 2 marbles instead of 3." One compliment = one marble. It's a small jar so depending on the needs of the class I can adjust how the degree of behavior is from year to year that justifies a marble being earned. I love using a marble jar in my class! We use 2 sizes of marbles, small for individual student success, and large ones for whole class success. They all love hearing the sound of the marble and have worked really hard towards earning their rewards! We use a "Noodle Jar". My students earn noodles (bowtie pasta) in the jar for using their noodle–their brain! When the jar is full, we have a noodle party. It gives a fun theme to the experience. My class starts the beginning of each subject with 5 marbles drawn on the board. If their behavior is not ideal then they lose a marble. Any marbles that are on the board at the end gets out into the jar. 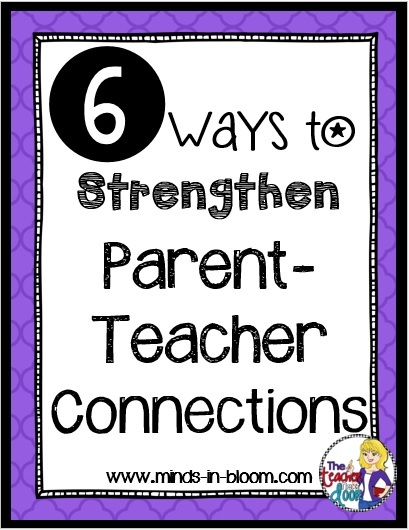 This has been very beneficial in my class and helps them stay focused. They can definitely earn back any marbles they lose. Trying to make it more positive than negative, since they lose the marbles! I have never used a marble jar but I absolutely love the tip about being careful about taking marbles out. Most school-wide discipline plans are set up to punish or take away, so the idea of monitoring that is AWESOME!! That is a really good idea! I love that! I have a marble maze. The kids drop a marble in the maze when they bring back homework, make good choices, etc. They put the marble in the marble jar when it reaches the end of the maze. The kids love the marble maze! They also love pulling out of the bag when the jar is full to see what reward the class earned. We use rocks (I've used regular old rocks from outside as well as the fancier rocks from the craft store – river rocks) and the motto "Our class rocks!". A very popular reward is board game time – students bring in board games to share and play with each other)and another winner is hat day. Great article and loving the comments as well. I teach 6th grade and would love to use a marble jar, but I'm worried it would be too "baby-ish"? I am interested to hear others' opinions on the matter. I suppose it depends on your students. The marble jar is a great class management tool for my 8th graders. I have used a marble jar for several years and with my students I put an additional 25 marbles in the jar if an unsolicited compliment is given about their behavior from another staff member. It has to be in my presence or repeated to me by that person before points are awarded, but the children are always especially proud of this. I also pick a random committee of children once the jar has been filled to plan the party. They have to organize it, present it to me for approval and then I add it to the plans as it fits into the schedule as soon as possible. The only rule or limitation is that it cannot cost money. We have watched a movie, played board games, had a mini Olympics, a read-athon, and gone outside for an extra game of soccer or kickball. They love taking ownership of their reward, and no one can be on a committee a second time until all children have had a turn. I pop a warm fuzzie on the child's desk with a little note that (as we currently have a bee them) "You were caught bee-ing good. You are the bee's knees! Buzz on over and pop your pollen in our jar." We have talked about how bbes carry pollen and they all work together etc etc. They keep the little note and pop the warm fuzzy in the jar. They love it. Has anyone used the marble jar with middle school students? Yes. It works well with my 8th graders. I have just started using this marble jar system with a very noisy, hyper class of P6/& (I teach in Scotland – so they are about 10 to 11 year olds) and it has been brilliant!! I find it useful to set marble targets at the start of activities (especially if learning outside or away from the marble jar) and then I assess (later on they will) how many marbles they have earnt. The marbles get added before/after break and lunch. It is also really helpful for settling them if they are getting a bit noisy etc…i just pick up the jar and rattle it slightly whilst 'considering' the marble target. For those that are concerned it is too babyish I say try it – best thing ever! I have used a marble jar for several years. The students love and love to hear the 'plunk' of the marbles. Our principal's name is Mr. Marble (really) so when we have our marble party he comes to read them a story. They love when he comes to do that. I also get them a small treat and some free play time.